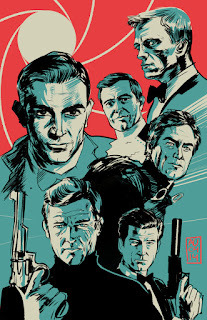 Have your ever seen this image before? I saw it first in Stephen Covey's class based on his book titled The Seven Habits of Highly Effective People. 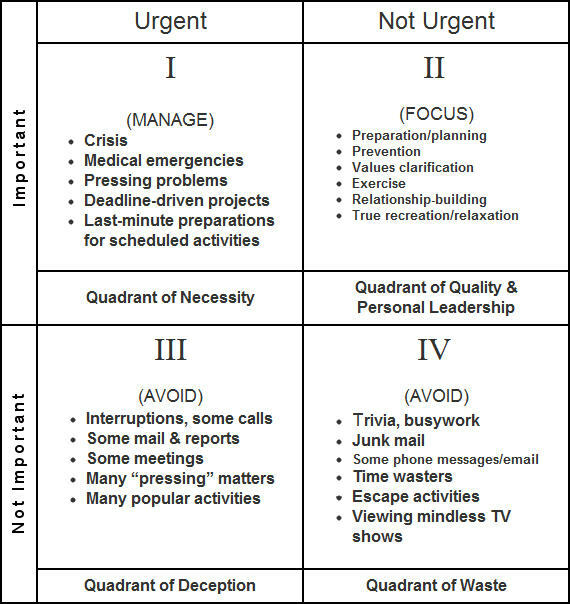 The idea of this matrix is to live in Quadrant II doing things that are important but not urgent. I regularly need to be reminded of this matrix. I spend way too much time in Quadrant IV. How about you? 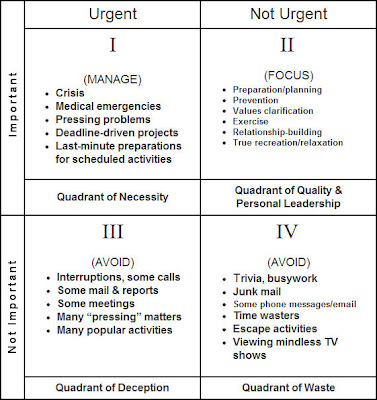 Can you relate to any quadrant in particular?